Most people equate a healthy smile with having straight, white teeth but that barely even scratches the surface of your overall mouth health. While having a nice set of pearly whites is preferable and crucial to improve your appearance and self confidence, taking care of your gums is just as important as taking care of your teeth. After all, your gums are the foundation in which your teeth are embedded. If your gums are unhealthy, then your teeth also suffer. Your dentist is obviously the best person to offer you personalized gum care tips, but in the meantime, there are a few simple common-sense things you can do to improve your oral health at home. You already know the importance of brushing your teeth twice a day and flossing every night before bed. A combination of brushing and flossing your teeth helps prevent plaque formation from sticking to your teeth. But did you know that the techniques you use to brush and floss your teeth also make a huge difference in your oral health? You should spend approximately two full minutes brushing and flossing your teeth respectively. Proper brushing techniques include placing the toothbrush at about a 45-degree angle and using gentle strokes to move it up and down on the surface of your teeth. To brush the back of your upper and lower teeth, you should angle the brush vertically and move it in an up and down motion. Lastly, you should also brush your tongue to remove bacteria that can otherwise spread to your gums and teeth. Appropriate flossing techniques vary depending on the type of floss or dental tools you’re using. Traditional dental floss involves pulling out a long piece of the string and lightly fastening it around your two middle fingers and pinching the floss between your thumbs and index fingers to help direct it between your teeth. You can use your index fingers to gently help guide the floss between your teeth in a zigzag motion. Then, gently and slowly move the floss up and down along the surface of each tooth and underneath the gum line to remove hidden plaque. As silly as this may seem, massaging your gums is actually a very effective method of alleviating minor sensitivity and discomfort caused by gingivitis. A gentle massage using your index finger or water flosser or sulcabrush can help break down and loosen some of the bacteria that are causing tooth sensitivity. Wash your hand thoroughly before attempting this to prevent the transfer of more bacteria. To begin, simply place your index finger on your gum line and gently begin moving it in a circular motion. Apply minimal pressure. You should feel a small amount of discomfort or tension but stop immediately if you feel any pain or if your gum starts bleeding. Rinsing your mouth with mouthwash every morning and night is an important part of your daily dental care routine. Mouthwash contains medicinal and non-medicinal ingredients that can help freshen your breath, prevent and reduce the symptoms of gingivitis, remove plaque, and kill harmful bacteria in your mouth. Low-acidity and prescription therapeutic mouthwashes are a great option for patients with sensitive teeth or advanced periodontitis. Even if you just rinse your mouth out with water after every meal, you can lower the risk of developing periodontal issues because this will help remove a great deal of leftover food particles that attract harmful bacteria. Not to sound preachy, but there are literally no positive aspects of smoking. It’s detrimental to your health and can destroy your teeth, turning them yellow. Smokers are also a lot more likely to develop serious tooth decay than non-smokers because the nicotine in tobacco reduces your saliva production, which can lead to severe dry mouth. Dry mouth is a breeding ground for harmful bacteria to take over and destroy your teeth from the inside out. Quitting smoking isn’t easy but joining a smoking cessation program is an excellent place to start. We’ve all heard the saying that eating too much sugar will rot your teeth. Well, this isn’t just something your parents told you to prevent you from over indulging on candy. It’s actually true. Sugar has a lot of harmful acidic properties that can strip away the natural enamel on your teeth. Enamel is a protective layer that prevents your teeth from getting damaged and can even help to prevent tooth decay. Once that enamel is gone, however, it’s gone for good. Enamel can’t be regenerated. Foods that have high sugar content also tend to be very acidic. These include fruit juices, energy or sports drinks, candy, colas, and soft drinks. Regular alcohol consumption stains your teeth and reduces saliva production which can effectively cause dry mouth. As mentioned, dry mouth attracts and even breeds a plethora of harmful bacteria that can irreparably damage the enamel on your teeth. Most alcoholic drinks are mixed with sugary syrups, citrus flavours, and other acidic components which also contribute to the destruction of your teeth over time. Heavy alcohol abuse (approximately 8 to 15 drinks or more a week) can exacerbate even the most minor periodontal problems, if not cause them. Be mindful of how much you drink when you go out with friends or attend house parties and try to stay away from sugary or acidic beverages as much as possible to protect your teeth. Princeview Dental Group has been located in Etobicoke’s iconic Kingsway neighbourhood for more than 20 years. 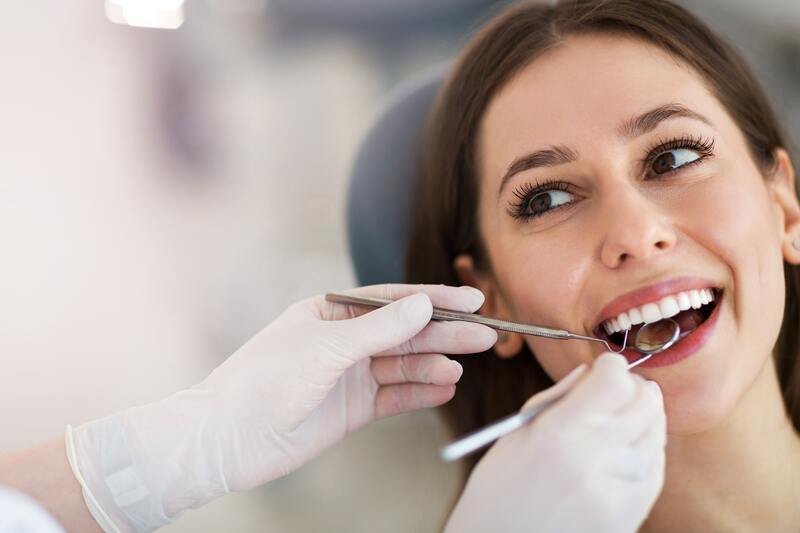 Our professional staff is experienced in treating a wide range of dental problems including tooth decay, gum disease, broken teeth and so much more. To help maintain your mouth health, we highly recommend making an appointment for a cleaning and checkup at least once every six months. To learn more or to book an appointment, please contact us.